Chobani has made available new variants – coconut, mandarin and banana ‘fruit on the bottom’ flavours in Australia, bringing the total flavours to 15. In Malaysia, the new flavours have arrived noticeably the coconut flavour. At Village Grocer,1 Mont Kiara, the pouch version sells for RM 7.50, while the cup format is retailed at RM 8.69. The coconut flavour is interesting. Coconut is increasingly becoming popular in new product development. One of the key catalysts is none other than the popular coconut water epitomised by Vita Coco. 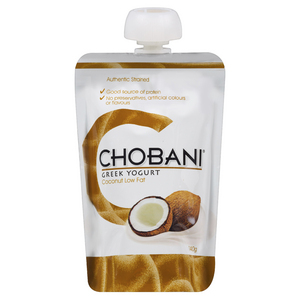 Expect to see more coconut products in some unlikely products like yogurt in the future.